CNI offers a 150 hour comprehensive program in electrodiagnostic medicine. 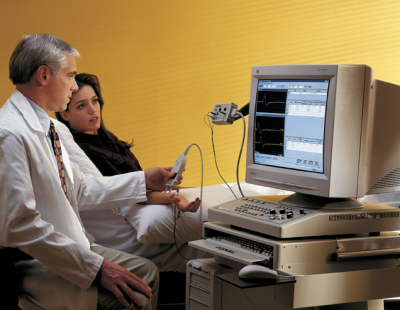 It is a thorough program covering nerve conduction studies, needle EMG and evoked potentials. The program is designed for the Doctoral level health care professional (M.D./D.O., D.C., D.P.M., D.P.T.) and is designed for the learner to obtain core competency in the selection, performance and interpretation of electrodiagnostic studies. This program is taught live in the classroom, live via synchronous webinar, and also as an "on demand" format for six of the ten sessions. Four sessions must be attanded live as they are "hands on" practical sessions to develop technical competency. The electrodiagnostics certificate program is a “hybrid” live webinar and live on site “hands on” course. The lecture (didactic) modules are offered via live webinar format. This means that participants can log on and participate in the course from the comfort of their home or office, without the time and expense of travel! A simple desktop or laptop computer with speakers and an internet connection is required. Four of the ten modules require local attendance as they are “hands on” laboratory modules. For those weekends, the participant will have an EMG instrument at their disposal so they may perfect their nerve conduction study and EMG skills. CE credits to selcted states such as Florida and New York have been applied for. Clinical Neurosciences Institute, LLC develops and adminsters medical education programs in the areas of clinical neurology and electrodiagnostics. It is the learner's responsibility to fully investigate and understand their jurisdiction's laws and rules regulating the practice of medicine and electrodiagnostic medicine. In no way does CNI guarantee that any health care professional that completes our programs is legally eligible to practice these techniques in their respective state or jurisdiction. This determination is solely the responsibility of the learner. Likewise, CNI does not in any manner, implied or explicit, guarantee or assure that learners will succesfully pass any/all specialty board examinations. Many, but not all, of CNI programs are accredited by various colleges. It is the full responsibility of the learner to inquire with their respective state board to determine if CEU credits are granted. Many state boards will not grant CEU credit for on demand, or asynchronous educational formats. The International Board of Elctrodiagnosis and the International Board of Chiropractic Neurology grant full credit for any educational delivery format.